So happy to be hopping with Laura over at Laura's Loft today. I hope everyone enjoyed their Holidays! We have some wonderful things to share with you today. If you arrived here from Laura's blog I know you enjoyed what she created for you. If not you can click on the previous button below and it will take you there so you can check her out! 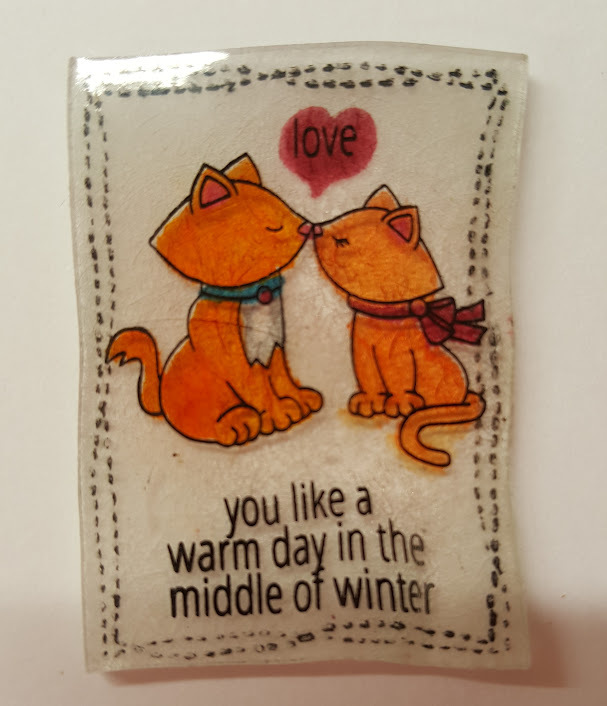 Let's not forget Christmas Stamps & Dies are 45% OFF and if you spend $75 get $10 off with a coupon code available on Laura's Loft! I started this card by Water coloring my background on watercolor paper. 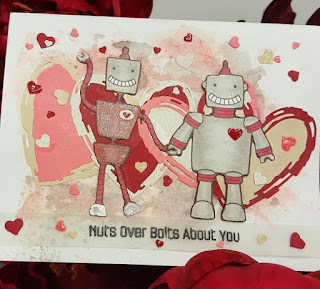 I stamped the bots from MFT's Bionic Bots with Memento Tuxedo Black Ink on Neenah Solar White card stock and colored them with Copics. I added Clear Wink Of Stella to the girl bot.. 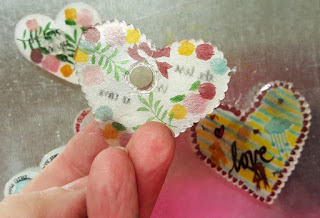 I used Simon Says Stamp Sketched Heart die and cut various coordinating card stock which i adhered to my watercolor piece. This card started with a piece of Neenah Solar white card stock and some clear contact paper that I die cut 2 different sized hearts out of to use the negative as a mask. 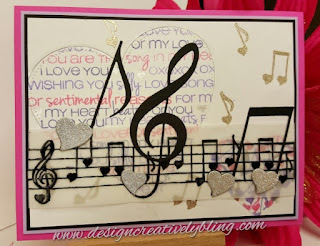 After laying the contact paper in place I began stamping different sentiments and music notes from CAS-ual Fridays Love Notes in SSS Hydrangea, Hollyhock and MFT Lavender Fields. After peeling off the mask I heat embossed music notes using Ranger Liquid Platinum ep. 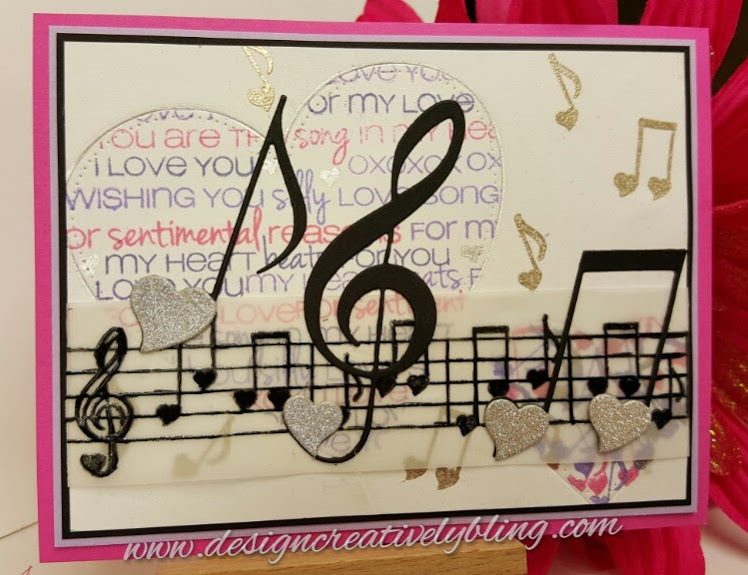 I die cut the Treble Clef, Double Note and Heart Note Fri-dies in Black then just the hearts in MFT Silver Sparkle. 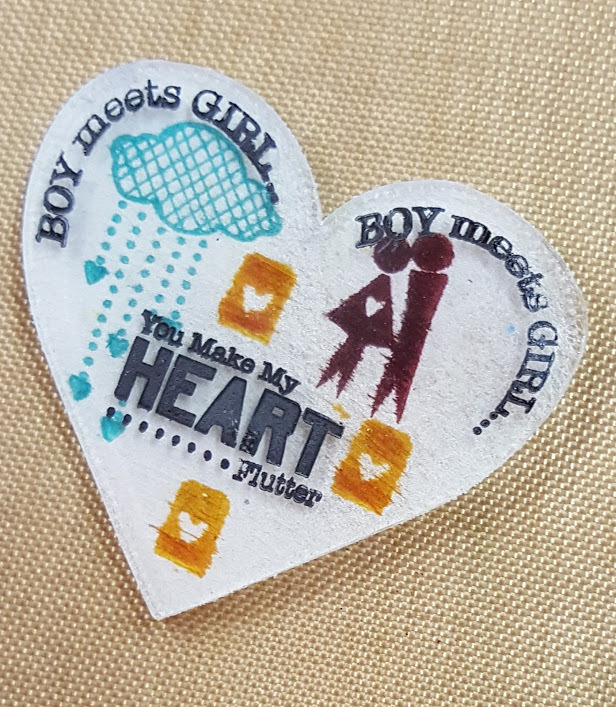 I adhered these hearts to the notes. I stamped the music score in black ink on vellum. After adhering everything to my cards front I mounted it to black card stock then MFT Periwinkle then SU Pink Passion. This card was the most fun. 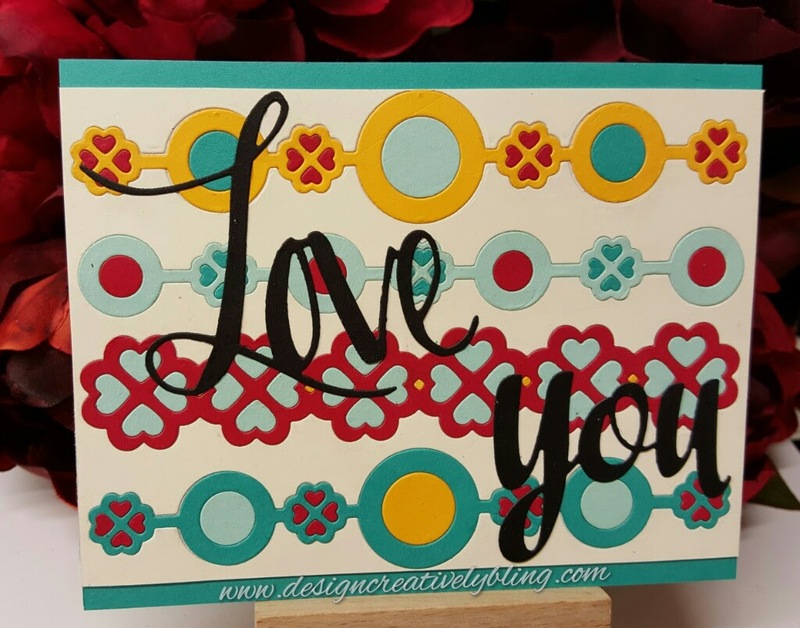 I started with a piece of SU Very Vanilla card stock and die cut CAS-ual Fridays Lovely Links to create a background I could do paper inlay on. To get the rest of my pieces I used these same dies and cut SU Sunshine, Pool Party, Real Red and Bermuda Bay. I attacked a piece of Stick It to a piece of Neenah Solar White then attached my Very Vanilla piece and started inlaying the different colors. I die cut Avery Elle Simply Said Love and Simply Said You out of black card stock and adhered them to the front. I finished by mounting this on SU Bermuda Bay card stock. I wanted to make valentines that would be used and therefor preserved. 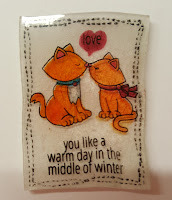 I die cut Shrinky Dink material using heart dies and Avery Elle Wonky Stitches. I stamped my sentiments using Altenew Super Script 2, Avery Elle Simply Said Love, TGF Flutter Heart and Avery Elle Laurels on the slick side with black Stazon. The matte side I stamped using Avery Elle Laurels, The Greeting farm Flutter Heart and Newton's Nook Newton's Christmas Cuddles. some were stamped with Simon Says Stamp inks and some I colored with copics. I layed then on my metal schim plate and used my heat tool to shrink them. I finished them by hot gluing a magnet to the back. 2. Deana Benson - You Are Here!! Links to products are at the end of the blog. Just click the picture and it will take you there. I am in love with your cards, just gorgeous! 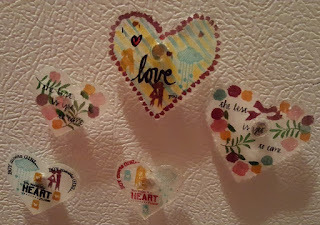 Gorgeous projects as usual, love the fridge valentine's!! I like your card and magnets but I really like that second card. Very good job. Lovely cards and the dies and stamps are wonderful! Absolutely gorgeous sets of projects. I love them all. I love this entire sets of stamps and dies. They are soooooo cute!! Great job!!! 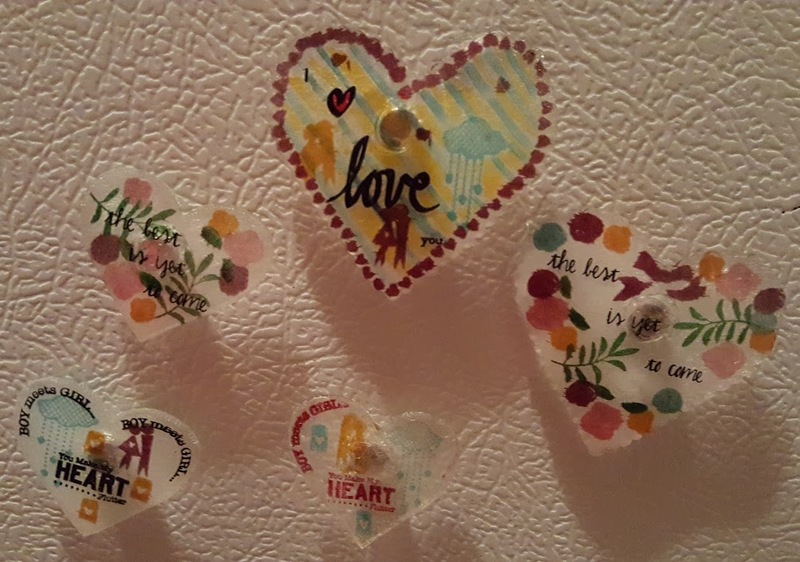 I love the shrinky dink hearts. I love the musical notes. 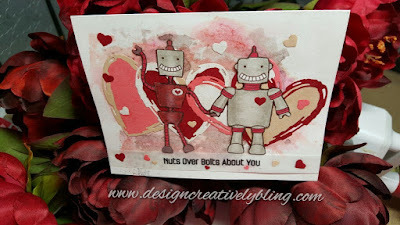 . .
Dance music, love all in on e.
Beautiful cards but I still love those bots and your music card is great! These are so adorable and sweet. I never thought to make cards for Valentines day, but what a wonderful way to show your love with a hand made card. They are a lot of fun! thank you! Wonderful cards thanks for sharing.